A group of formerly homeless women and their teenage daughters living in a Boyle Heights emergency shelter were recently treated to an “afternoon of beauty” courtesy of the San Fernando Valley Chapter of NA’AMAT USA. 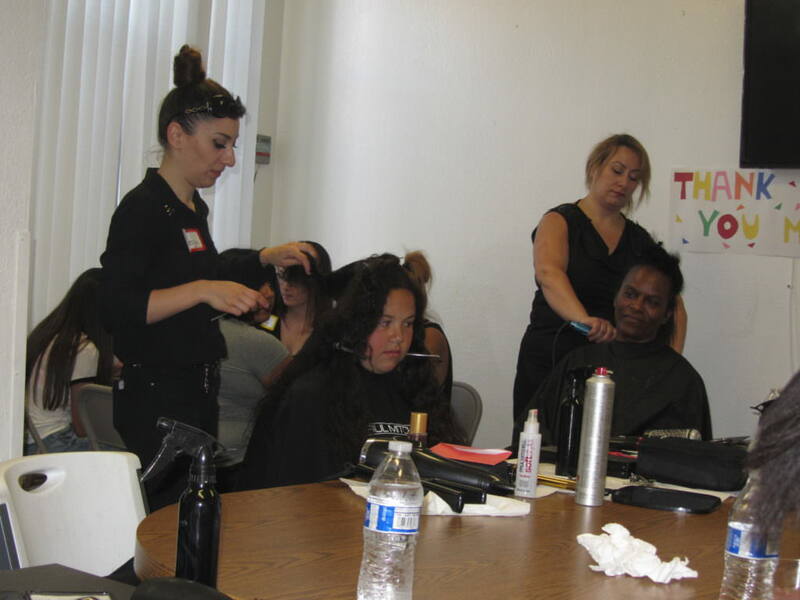 More than 40 residents of LA Family Housing’s Comunidad Cesar Chavez received haircuts, stylings, manicures and make-up treatments applied by students from Paul Mitchell—The School, a cosmetology school in Sherman Oaks. 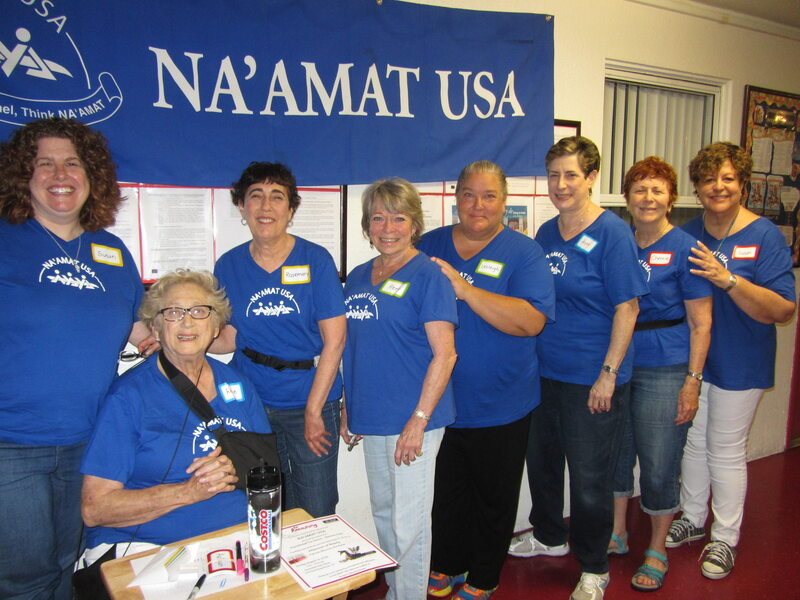 The San Fernando Valley Chapter of NA’AMAT USA organized the event as a way to give the women a respite from their challenging lives, and to look and feel beautiful. 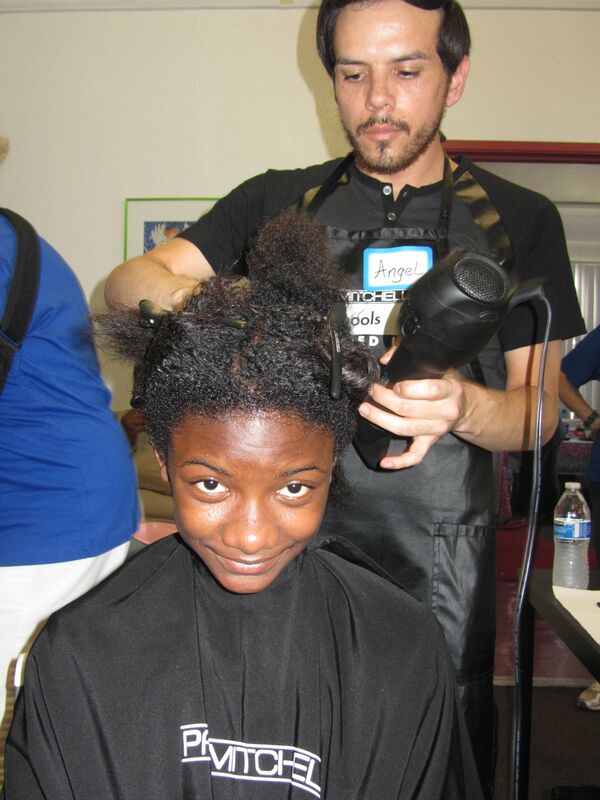 In addition to the beauty treatments, NA’AMAT USA provided a light lunch and many rounds of bingo with prizes including gift cards from nearby establishments such as Food for Less, Subway, McDonald’s and Jack-in-the-Box. “Despite the hot day, the energized and competitive ladies sat outside playing bingo with big smiles and even bigger hopes that their numbers would be called,” Lutske recalled. The women and teens living in the shelter were also given personalized gift bags filled with shampoo, lotions, make-up, dental supplies, handwritten notes of encouragement and sweets. Angel S. who arrived at the shelter just two days prior to the event had a manicure. “I’ve never experienced anything this nice,” she said.